Ruby had it all. She was kind. She was thoughtful. She included other children. She was one of those kids as a teacher you would say, 'That's a really neat kid.' 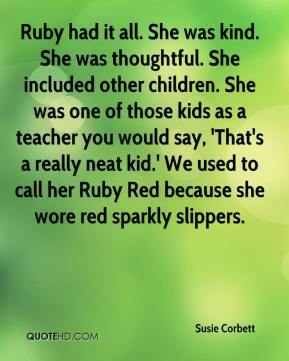 We used to call her Ruby Red because she wore red sparkly slippers. You build an altar, and the children bake bread. 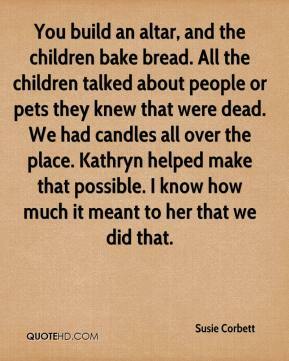 All the children talked about people or pets they knew that were dead. We had candles all over the place. Kathryn helped make that possible. I know how much it meant to her that we did that.